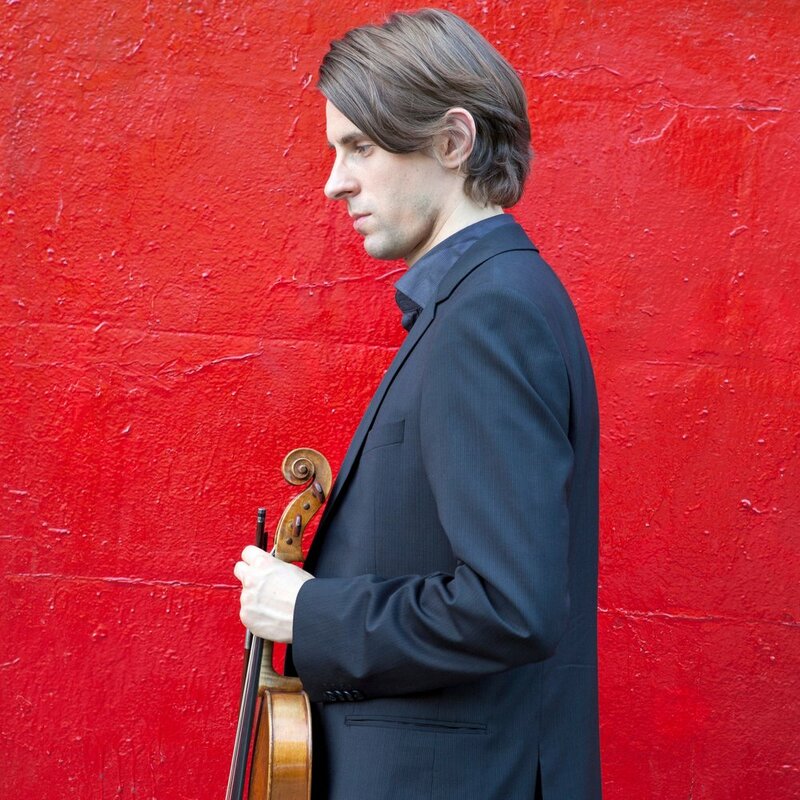 Born in Brussels, Belgian American violist Dimitri Murrath has made his mark as a soloist on the international scene, performing regularly in venues including Jordan Hall (Boston), Kennedy Center (Washington), Wigmore Hall, Purcell Room, Royal Festival Hall (London), Kioi Hall (Tokyo), the National Auditorium (Madrid), and Théâtre de la Ville (Paris). A recipient of a 2014 Avery Fisher Career Grant, Dimitri is a first prize winner at the Primrose International Viola Competition. Other awards include second prize at the First Tokyo International Viola Competition, the special prize for the contemporary work at the ARD Munich Competition, and a fellowship from the Belgian American Educational Foundation. In 2012, he was named laureate of the Juventus Festival, an award recognizing young European soloists. With repertoire extending from Bach to contemporary music by Ligeti, Kurtag, and Sciarrino, Murrath is particularly keen on performing new works. He has taken part in the Park Lane Group New Year Series in London to great critical acclaim, as well as commissioned, given the world premieres, and recorded several solo works. An avid chamber musician, Murrath is a member of the Boston Chamber Music Society and of Mistral Music . He has collaborated with Miriam Fried, Pamela Frank, Richard Goode, Gidon Kremer, Menahem Pressler, Mitsuko Uchida, and members of the Mendelssohn, Takacs, Guarneri, Cleveland, Jerusalem, and Juilliard String Quartets. Festivals include IMS Prussia Cove, Ravinia's Steans Institute for Young Artists, Verbier Festival, Caramoor Rising Stars, Chamberfest Cleveland, Bridgehampton Chamber Music Festival, Juventus Festival, and Marlboro Music Festival. He has performed concertos with orchestras including Orchestre National de Lille, Toho Gakuen Orchestra, Tokyo Philharmonic, Brussels Philharmonic and London Mozart Players. Dimitri Murrath began his musical education at the Yehudi Menuhin School studying with Natalia Boyarsky and went on to work in London with David Takeno at the Guildhall School of Music and Drama. He graduated with an Artist Diploma from the New England Conservatory as a student of Kim Kashkashian. He joined the viola faculty at New England Conservatory aged 26, and taught there for 8 years. He is now on the viola faculties of San Francisco Conservatory of Music and Bowdoin International Music Festival. Dimitri Murrath participates in the Music for Food project, which raises awareness of the hunger problem faced by a large percent of the population, and gives the opportunity to experience the powerful role music can play as a catalyst for change.